The other door to a Malay style coconut stew (Masak Lemak Ikan Masin Nenas & Sardin Masak Lemak Cili Padi). In fact, a close cousin to our Indian Sodhi. 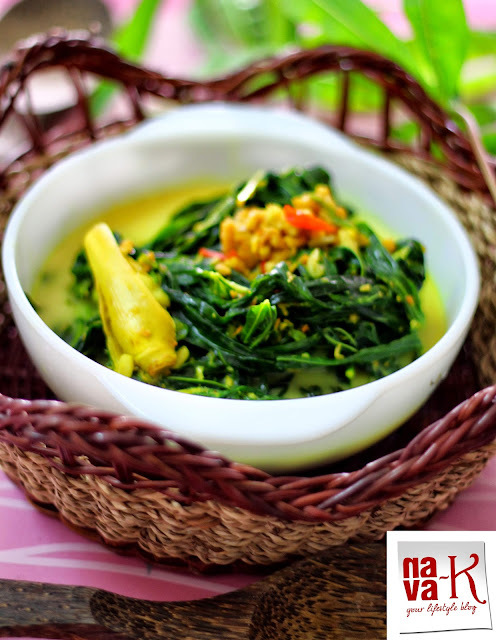 The main vegetable key to this version of masak lemak? 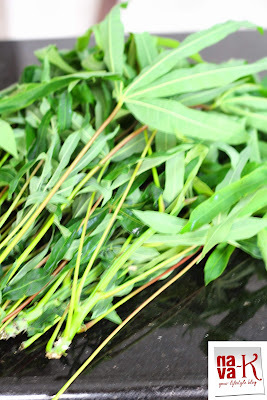 Pretty much tapioca leaf/pucuk ubi which trust me, can be effortlessly grown. Just plant the roots after cooking and within time, you have it all. The rest of the ingredients? How far further can we get when its a Malay coconut stew? The, more or less within the context of our pantry friendly ingredients and maybe you need to buy them. 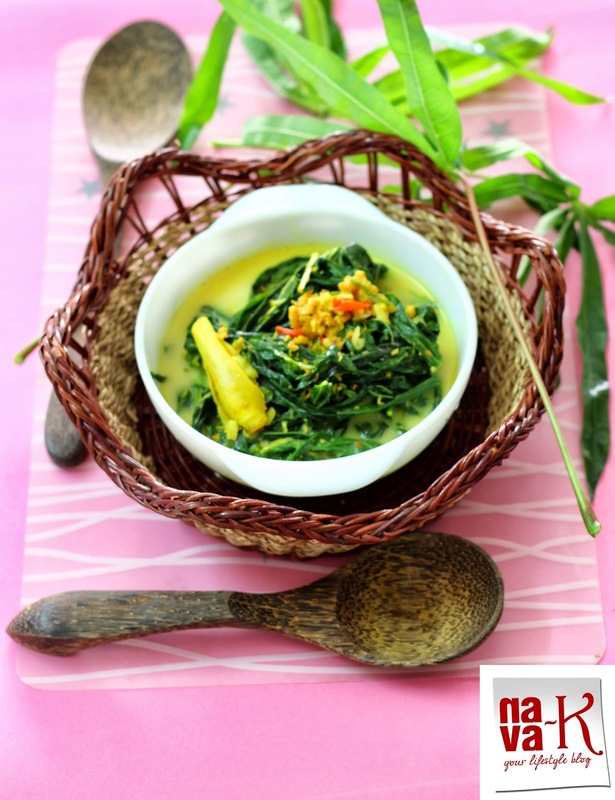 Pucuk Ubi Masak Lemak (Tapioca leaf In Coconut Gravy). Malay style truly a sensational delight. Fry the paste till aromatic. Simmer and add the leaves. Pour coconut milk, stir and simmer just to heat through. I do not know if I could find these ingredients where I live and is a pity because the looks amazing to try. Never cooked with tapioco leaves ..First time i am seeing these too.The curry looks really awesome with coconut milk. That's a beautiful cane basket Nava :) Also, the recipe is so simple andf easy. Love that color too! This looks so delicious! Never tried these leaves but I am sure they taste really good and are healthy too!! What a lovely presentation and flavorful recipe. Loved it!